Taking pride in the large number of types and zero-defect performance of its ammunition, Poongsan uses carefully-selected, high-quality raw materials and ensures the high performance of sporting ammunition by carrying out stringent quality inspections and target tests. 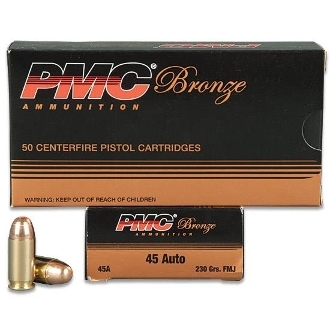 The Bronze family of products offers reliable performace at an affordable price. The Lead core is enclosed by a strong metal jacket on this non-expanding, deep penetrating bullet. Provides smooth, reliable feeding in all types of semi-auto handguns.